Back Home » What’s the reality of being a fintech in Manchester? What’s the reality of being a fintech in Manchester? While the fintech sector goes from strength to strength on a global scale, what’s the reality of being one in Manchester? With over 30 fintech companies located in the city, our panel of speakers will discuss what life is like as a Manchester-based fintech and share their thoughts on the future of the sector here. We’ll also look more specifically at key sub-sectors of the fintech space, such as payments, ecommerce, security, crypto and alternative banking – and discuss how the experience and opportunity differs across these areas. We’ll identify key pockets of success in the Greater Manchester region, look at room for growth and share key learnings from a cross section of existing fintech businesses. We all know fintech is now truly embedded in the DNA of consumer services but how do we realise the fintech-hub potential and galvanise a vision? The purpose of the event is to consider this as a group and move the Manchester fintech story forwards. Angela’s career in global PR, branding, product marketing and account management spans almost 20 years, and during this time, she has raised the profile of market leaders in the mobile, technology, ecommerce and payment sectors. Before cofounding SkyParlour alongside Kimberley Waldron in 2009, Angela held marketing directorships and management positions at Xerox, Océ, 2ergo, Payzone and Retail Decisions (ReD). 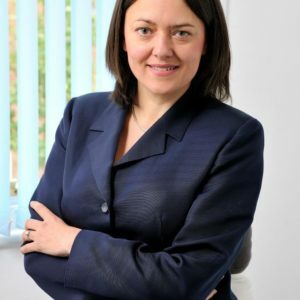 During her time in account management, Angela was responsible for clients including Vodafone, Orange, O2, PWC, Credit Suisse First Boston (CSFB), Morgan Stanley, Royal Sun Alliance, AON, Citigroup and Williams Lea amongst others. Angela is an advisory board member for the Emerging Payment Association and UK Ambassador for the EWPN (European Women in Payments Network). A graduate from the University of Manchester, Rachel joined MIDAS – Manchester’s inward investment agency in 2014. She is currently Business Development Manager for the Financial, Professional and Business Services sector and specialises in FinTech, recently working on projects with Fibonatix, Intrapay/Tappit and Wonderbill. 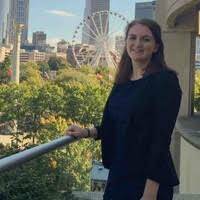 Through her work, Rachel has a strong awareness and understanding of what FinTech companies are looking for when setting up or expanding into Manchester. Mark Robinson is an Insurance Broker specialising in the Technology, Financial Risk and Online Gambling sectors. He works closely with companies to understand their risk profile and ensure exposure to loss is mitigated via a range of specialist insurance products. Mark has worked with major Blue-Chip organisations across Europe to design and develop specialist insurance policies tailored to their individual needs. This has included Cyber/Data Insurance programs. 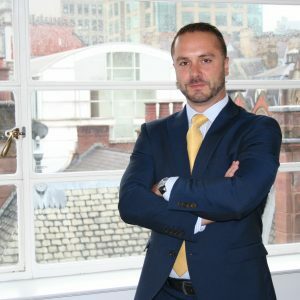 Jack is Head of Professional Services at AccessPay. 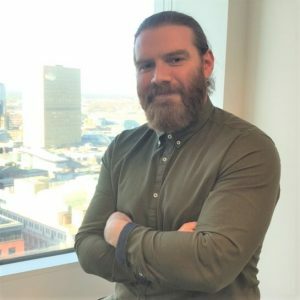 After working in Client Services at global bank BNY Mellon, and in Project Management at WNS Global Services, he joined the north’s fastest growing fintech to help guide their client implementation strategy. Jack has now worked at AccessPay since July 2017, and has built his team through a period of substantial growth within the company, with a strong focus on customer relationships and satisfaction.